As a PhD student studying molecular biology in nematodes, hosting trivia is the only thing that gets Nate out of the lab to interact with his own species. Being on the trivia mic comes naturally with his experiences singing in choirs and in a cappella groups. 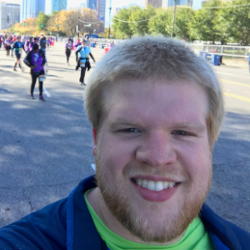 Outside of science and trivia, Nate enjoys trying different craft beers with friends and has recently taken up running to burn beer calories.